Whenever we decide to go to a new destination we research all available options for hosting our yoga retreat and pick the one that creates the most unique and intimate space, with the best food and incredible access to nature. Cozy accommodations and beautiful yoga studio and fun adventures and a price point that makes the trip affordable are all factors. In our search we’ve found all kinds of amazing yoga retreat centers in Sri Lanka. Although some of them aren’t the right fit for us, they might be the right fit for you! We highlighted our favorites here including the place where we’re hosting our retreat! 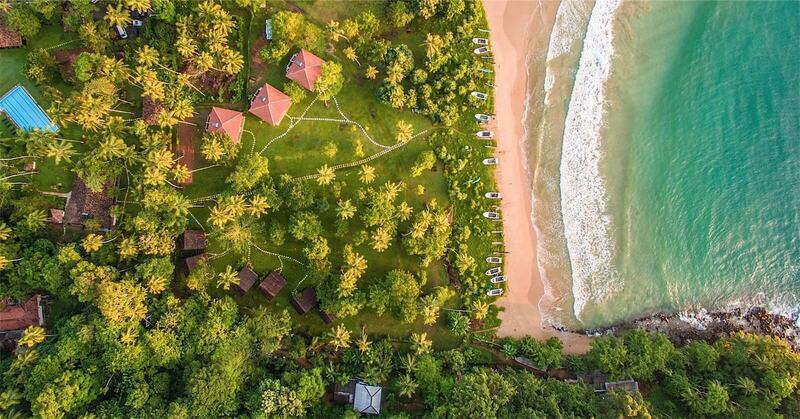 Our retreat in Sri Lanka is March 15-21, 2020 – During the Equinox – Check it out. Do you know of any other amazing retreat centers in Sri Lanka? If so please let us know so we can add them to the list! None of these float your boat? Here’s a couple of other options that might work!